Produce bags and bags for storing and displaying food. Probably the most popular plastic carrier bag. These bags come with a reinforced punched-out patch handle gives the extra strength and support needed for carrying products. Ideal for carrying heavier weight items, a good choice for trade shows and conventions. Varigauge carrier bags are produced from low density polythene which is blown in such a way that the polythene is double the thickness at the top of the carrier around the handle. This is a neater way of reinforcing the handle than using a patch. A flexiloop retail bag is similar to the varigauge and patch handled carrier bags, but with a welded polythene loop handle attached. Twin clip retail bags are generally used in cosmetics, jewellery and exhibitions. Clip close retail bags are manufactured from low density polythene and feature a rigid plastic clip close handle. Vest-type carriers are the inexpensive shopping bags for food, soft goods and retail stores. Ideal for a more general use. Food and produce bags, also know as Butcher Bags or Food Counter Bags are most commonly seen used at fish and meat counters in supermarkets or to package meat for customers in traditional butcher shops. Food bags help keep our food fresh and safe, and protects against spoilage. Food packaging provides a hygienic and safe environment for foods and medicine by protecting against contamination while keeping foods fresh throughout its shelf life time. Display bags have a wide range of uses and are normally manufactured with polypropylene or cellophane. Cellophane A transparent paper like product that has high clarity and resist moisture, oil, and grease and help keep contents fresh ideal for food items they help keep perishables fresh and hygienically protected, and for other items they are simply a great way to showcase and package your product. Polypropylene exceptionally clear allowing your product or design to be displayed clearly with an extra shine and can be used for items like greeting cards they extend shelf-life by preventing moisture from penetrating the card and protect the card from the grease on fingerprints or ambient heat. Website providing you with the best suppliers of discount shopping bags. Contains information on where to source alternative packaging products such as environmentally-friendly and promotional shopping bags. Providea free and accurate information on types, sizes and gauges for food packaging. Buy food bags at discounted prices from recommended discounted suppliers. 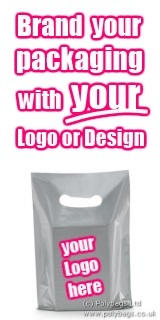 Gift Bags Direct offers great prices and discounts on greetings card bags and polypropylene display packaging. Buy direct from suppliers and manufactures and save money. Packaging Knowledege is an online magazine with news on the wolrd of packaging. Read articles and find lots of information about many types of bubble wrap. Greeting Card Bags Goldstork is an interesting, best of the web style directory with lots of usfeul or unusual websites. Goldstork also offers a vault with only selected protective packaging websites. If you are looking for alternatives to plastic retail bags you will be happy to hear that options are available for most types of packaging, be sure to check our recommended website for more information about biodegradable retail bags.